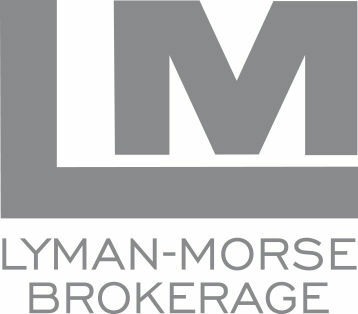 Team Lyman-Morse is pleased to be teaming up again with one of our most successful design partners – C. Raymond Hunt. This new design, our 19th with the venerable firm, will be available in Flybridge and Express Cruiser configurations - and with jet or traditional drives. By using the semi custom approach our customers have the insurance of knowing the performance with a custom approach while saving the costs of the design and construction of molds that a fully custom project requires. It is the best of all worlds to build your own boat with an interior of your choosing while having the confidence on the performance of existing boats. Each client can influence the specification and concept of his boat to a high degree. This flexibility allows our boats to be extremely individual, although the standard starting platform is an already existing model. Some of them have 100% custom decks, others a totally different keel system, and almost all of them have individual interior layouts. For the yachtsman that perhaps does not have the time and capacity to be directly involved themselves in a full custom project, these semi-custom yachts offer a slightly "easier" solution at a lower price. More importantly, though, they offer faster delivery while still maintaining the possibility to create very personal projects. Full specification sheet available upon request. Please contact John Morin for more information and a tour of our build facilities. This C. Raymond Hunt Design features Twin Caterpillar C18s (1001 BHP) coupled with Hamilton HJ403 water-jets give a top speed of 35 knots and a cruising speed of 30 knots. Construction is infused FRP composite with CoreCell PVC foam core. Water-jet propulsion means that this vessel will have an operating draft of approximately three feet, or roughly one and one-half feet less than a propeller-driven yacht of comparable size and type. Accommodations include an owner's cabin with en-suite head and an office which converts to a guest cabin, also with its own head. The spacious, near-flush aft deck conceals a tender garage which accommodates an 11-foot RIB. The flybridge itself features a centerline helm and two companion seats, a settee with table, and a small bar. Other arrangements are, of course, possible.